It feels surreal when you find your favorite Filipino films in an online entertainment service that offers movies and TV series. 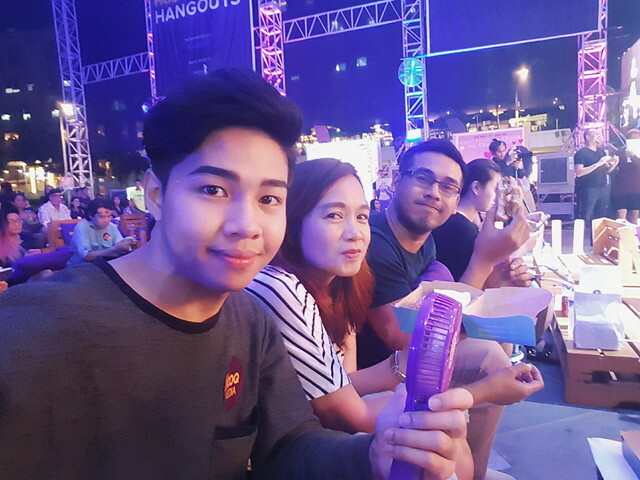 Last Friday, I went to the Globe Iconic Store in Bonifacio Global City and witnessed the highlight of the second HOOQ HANGOUTS, the biggest outdoor cinema event series. 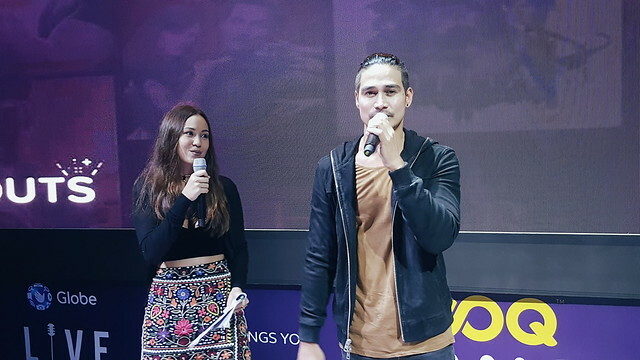 This month, #LovePinoy was the theme as it showcased its massive catalogue of local movies with a screening of Every Breath You Take, starring Piolo Pascual and Angelica Panganiban. While others battling the Friday grind. My friends and I laugh all night with Angelica Panganiban's gullible portrayal in the movie. Honestly, I watched this a couple of times but it still makes me laugh so hard. I cannot! Lol! Papa P. made an appearance and leave a short message before the movie starts. Thanking the fans coming over despite the Friday grind. Both girls and boys swoon over this ageless heartthrob. 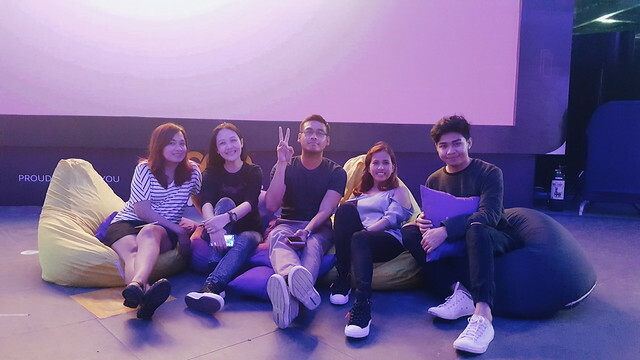 “With the start of the –Ber months everyone is expecting the weather to be a bit colder, so we chose a romantic comedy that’s guaranteed to rekindle that warm fuzzy feeling and make our subscribers feel some Pinoy Love,” says Jane Cruz-Walker, Country Manager of HOOQ Philippines. 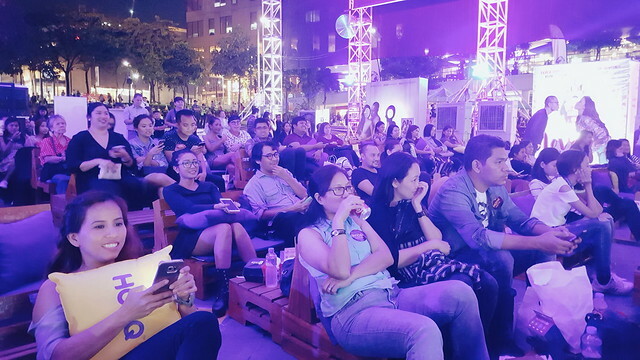 People enjoyed their Fridate free outdoor cinema venue with massive LED screens, with comfortable bean bags, blankets, and cushions. 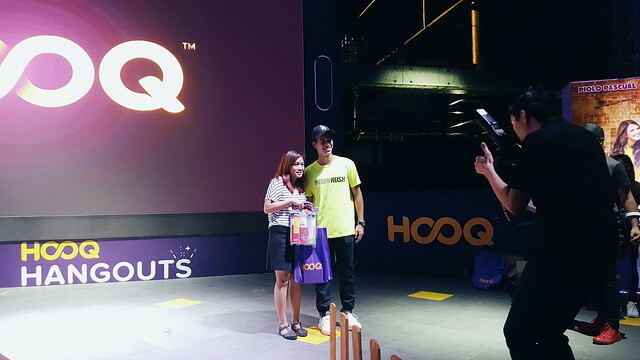 They also create a simple game and participants of HOOQ Hangouts that participate win raffle prizes. enjoy on-ground entertainment, munch on free popcorn. 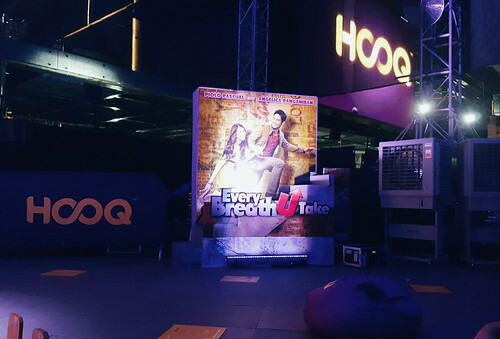 HOOQ is Asia’s largest video-on-demand service hosting over 10,000 movies and TV shows available for streaming or download. Globe customers can get free access to HOOQ with selected GoSURF mobile data plans and as well as Broadband Plan 1299 and up. Visit www.hooq.tv to sign up for a 7-day free trial. It’s easy to get HOOQ! Sign up today for a 7-day free trial on www.HOOQ.tv. Globe mobile customers can up to 90 days free HOOQ on selected GoSURF plans. Broadband customers also get HOOQ for free on Globe Home Broadband. Once the trial period expires, Globe customers can continue enjoying HOOQ at P149 subscription fee monthly charged to your Globe bill. Simply text HOOQ149 to 8888.